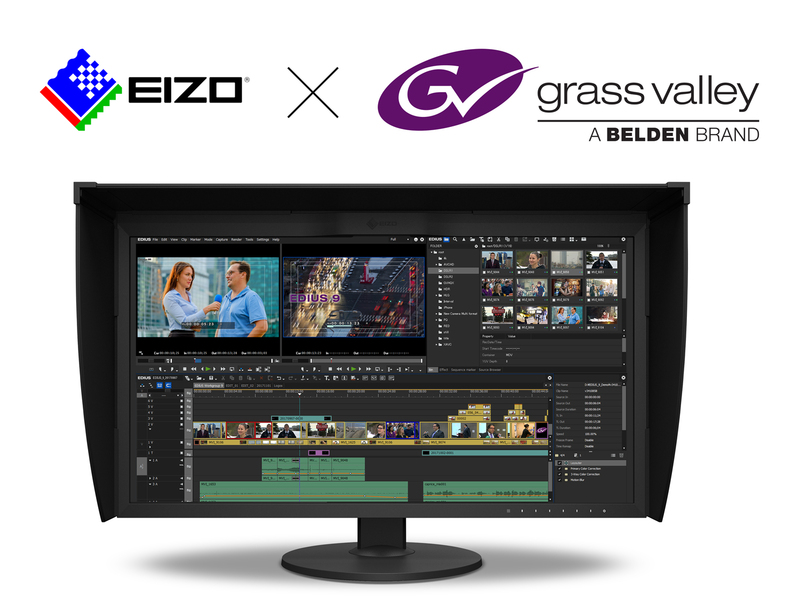 Hakusan, Japan, May 17, 2018 – EIZO Corporation (TSE: 6737) today announced that as part of a technical collaboration, Grass Valley, a Belden Brand has integrated the software development kit (SDK) for EIZO’s 4K ColorEdge monitor into the latest version of EDIUS Workgroup 9.2 multiformat nonlinear editing software. The supported EIZO monitors are ColorEdge PROMINENCE CG3145, CG319X (planned), CG318-4K (31.1-inch), and CG248-4K (23.8-inch). They offer DCI-4K (4K UHD for CG248-4K), HLG and PQ gamma curve support, a wide color gamut for working in DCI-P3, Rec. 2020, and other video and broadcasting standards. Grass Valley’s EDIUS provides numerous creative options and real-time, no-render editing of SD, HD and even 4K and HDR formats. Prior to the integration, users would need to select their project settings within EDIUS, for example Rec. 2020, and as an additional step, change the monitor’s preset via the OSD menu to match the color space, also to Rec. 2020. With EDIUS Workgroup 9.2 and a supported ColorEdge monitor, users only need to select their project settings in EDIUS and the monitor’s preset will automatically change to the appropriate selection. This streamlines the process and ensures that users are always working in the correct color space, even when changing between projects.